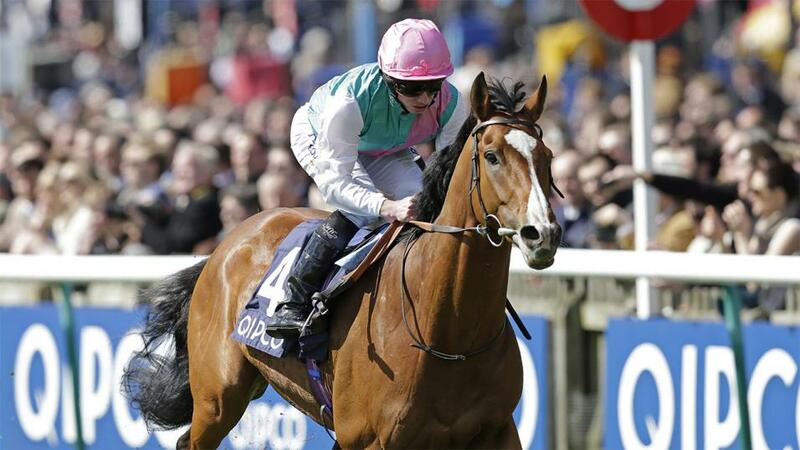 Ryan Moore hopes to ride to a winner at Newmarket this Saturday. "Clemmie has also won in the highest grade, winning the Cheveley Park in style here, and she looked like she is coming to the boil nicely when third to Laurens in the Matron Stakes last time." This race is obviously full of likely newcomers and Turgenev looked decent at Newcastle, but my colt has experience and we at least get 6lb from the winner. Il Paradiso shaped with a lot of promise when third to a stablemate at Gowran on his debut last month, and it would be reasonable to expect him to have come on a lot for the run. Hopefully, the quicker ground here will suit him better, too. I think you can make a case for a few in here. Wind Chimes and Laurens set the form standard on their 3yo form - the Moulin run of Wind Chimes is probably the best single piece of form - but Veracious won well in spite of the steadily-run race at Sandown last time, and I was impressed by I Can Fly at Leopardstown last time too, while Happily is a dual Group 1 winner. Clemmie has also won in the highest grade, winning the Cheveley Park in style here, and she looked like she is coming to the boil nicely when third to Laurens in the Matron Stakes last time. But it's a tough Group 1, and I haven't even mentioned the likes of 1,000 Guineas winner Billesdon Brook or Aljazzi. She obviously hasn't been at her best in her last two starts, and the handicapper hasn't given her much help. But she clearly has chances on her win on the July course in June, and the step back up to a mile isn't an issue. This is the first time I have ridden her since her debut. She has progressed well since and ran her best race yet over 1m at Sandown last time. She has gone up 5lb but the winner has followed up since, and I think you have to be positive about my filly's chance, for all this looks a competitive handicap. The step up to 1m2f could see her in an even better light, too. She got messed about at Salisbury and then did well to pick up the second at Chelmsford last time. She has gone up 4lb for that narrow win but I think she remains on a fair mark, and I don't envisage the step back up to 1m4f being an issue.